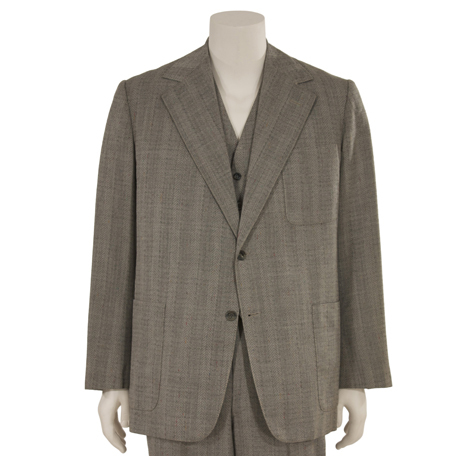 This grey suit was worn by the character "Dr. Christian Szell," portrayed by actor Laurence Olivier, in the 1976 thriller, "Marathon Man." 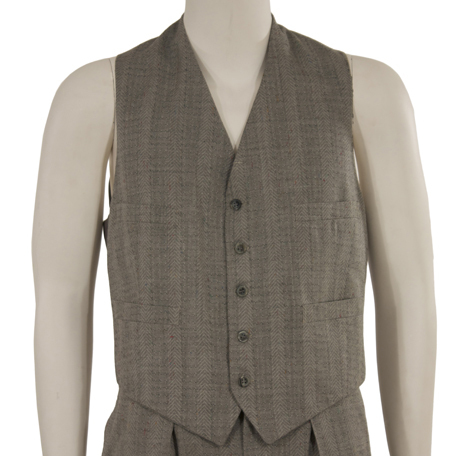 The three piece suit was custom made for Mr. Olivier by Eaves Brooks Costume Company. 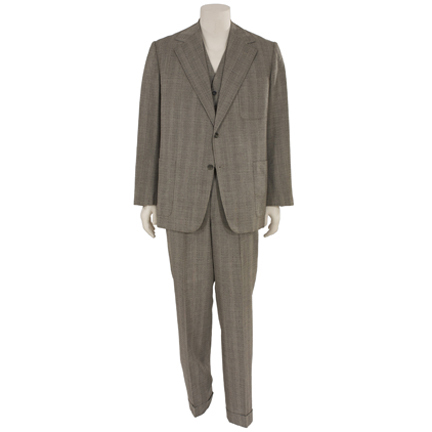 The suit is constructed out of a grey herringbone and geometric striped material and was completed with a hand-sewn lining. 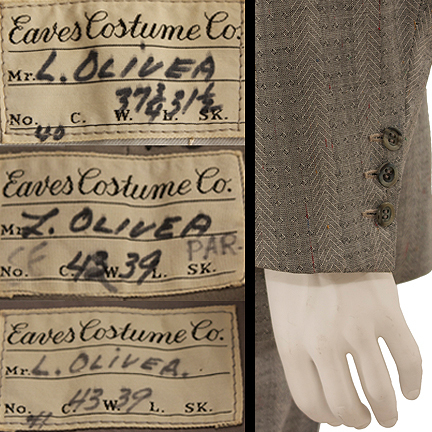 Each garment bares the Eaves Brooks Costume Company label with Mr. Olivier’s name clearly written in black ink. 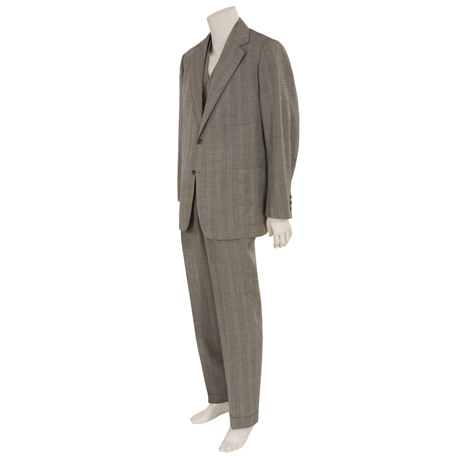 Dr. Szell first appears wearing this suit on the plane when he is in bathroom shaving his head and handcuffing the “brief case” to his wrist. 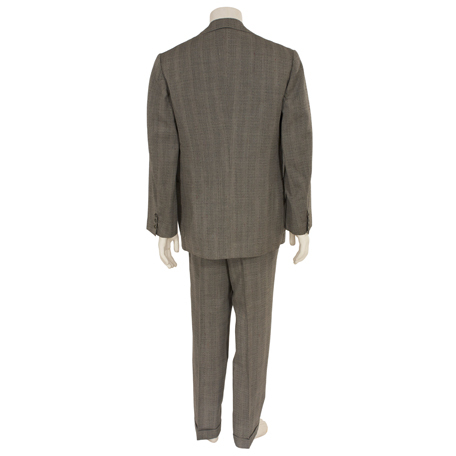 The most notable scene where the suit appears is when he kills Doc (Roy Sheider). 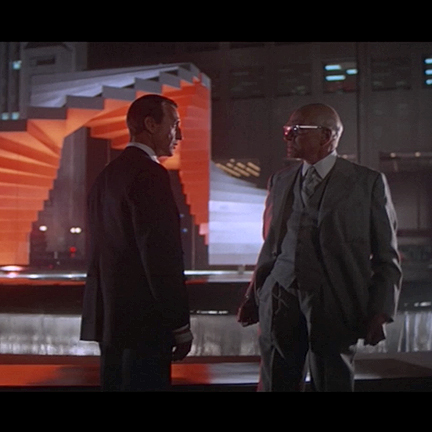 “Marathon Man,” starring Dustin Hoffman, Laurence Olivier, Roy Scheider, William Devane, and Marthe Keller, was nominated for an Academy Award in 1977. 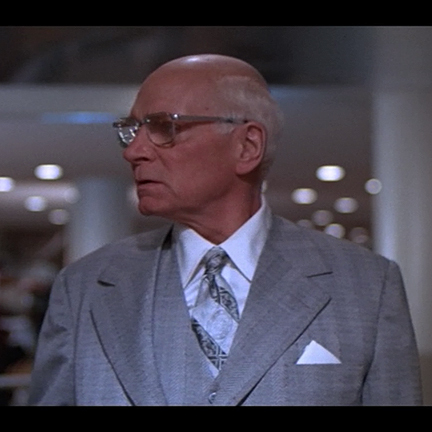 It was also nominated for five Golden Globe awards include a win for Mr. Olivier for his supporting role. 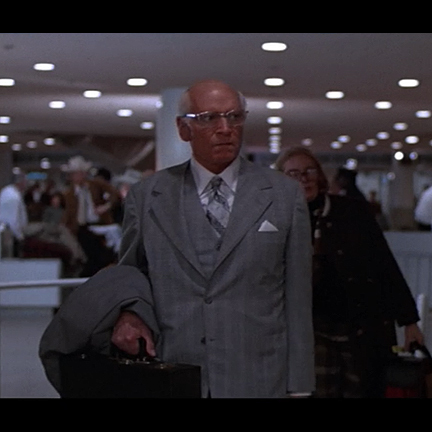 Dr. Szell is considered one of the greatest villains in cinematic history and is ranked as villain #34 on the American Film Institute’s “100 Years… 200 Heroes and Villains.” Accompanied by a letter of authenticity.